During my time as an author I’ve discovered just how difficult it can be to get book covers right. They should be clear and represent the story within its pages, although there are various different ways that can be achieved. The cover of my debut novel, The Heir, definitely has its lovers and haters. We’ll soon be working on the cover of Once Confronted, and I think we’ve got an idea of where we’re going with it, but I’m sure there will still be a bit of to-ing and fro-ing with it. One of the most important things to get right on a book cover is the font, both for the title and for the author’s name. Font choice is a big deal, as it can make or break your cover. I used to be the editor of a small newspaper and also often designed ads for it, and one of the earliest pieces of advice I received was to try and avoid the use of all caps, as it could make it difficult to read. This is definitely true of some fonts in particular. Also I was told to use no more than three different fonts in an ad. For a book cover, I think it’s best to stick to only two fonts at most. 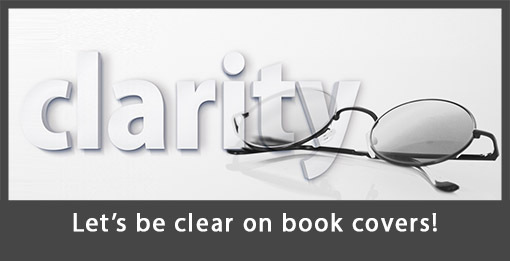 Anything more can make it too busy and that doesn’t help with clarity, which is one of the most important things about book covers. After all, it’s the title, along with the cover image, that will be the introduction most readers receive to your book. There’s a website called Lousy Book Covers that has some great examples of poor covers of all kinds, but they also have some great examples of unclear fonts, as well as many on their tumblr page. Have a look and let me know your favourite, or tell me of another book you’ve encountered that has had a poor font choice on the front cover. Hi Lynne, I had a look at the lousy book covers – don’t think I could pick a favourite – they were mostly pretty awful! Certainly confirms that a good cover design is so important though. I wasn’t all that happy with my first book cover design – but it wasn’t my choice so had to go with it. Turned out okay as we sold out the first and only print run (10,000) in around 3 or 4 months. Interesting that I never had anyone say – loved the cover or even great cover. In fact, I didn’t hear one word regarding the cover one way or the other. Thanks for your posts – they are very interesting. Yes, there are some bad ones on that site, Lesley! I’m glad your first book sold so well. I wish I could be that successful.